Concerned about diabetes? Take the diabetes risk test from The American Diabetes Association. Diabetes is more common in African Americans, Latinos, Native Americans, Asian Americans and Pacific Islanders. Exercise burns calories, which assists in weight loss and a lower blood sugar level. 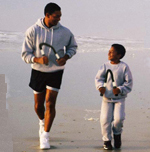 Regular exercise helps the body respond to insulin and results in a lower blood sugar level. Exercise lowers blood glucose and reduces the amount of medication needed to treat diabetes. It may even be possible to control type two diabetes with diet and exercise without the need for medication. Exercise improves circulation, especially in arms and legs, where people with diabetes may have problems. Exercise helps reduce cholesterol and high blood pressure which may lead to a heart attack or stroke. A diabetic exercise program helps reduce stress and may lower blood sugar level. Regular exercise reduces the risk for heart disease, cholesterol levels, and blood pressure. In some instances, a diabetic exercise program combined with a meal plan may control type two diabetes with diet and exercise alone, without the need for medications. 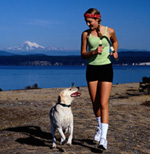 A regular diabetic exercise program may be the best way how to lower blood sugar. Why wait to enjoy the benefits of lowering your blood sugar level naturally? Click HERE to purchase your HeartFlex now ! !